I plan to review this cosplay for a video later, but for now, I’ll put a summation of my thoughts here. 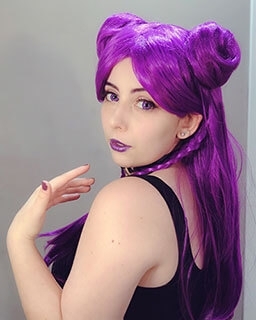 I bought the wig and costume together and was able to snag a nice $9ish dollar discount at the time, which was much appreciated. 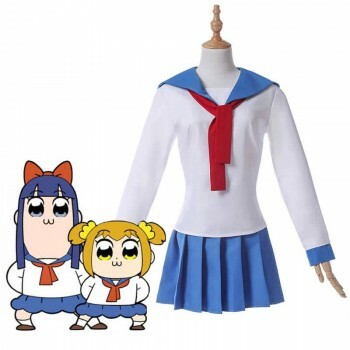 The costume itself (assuming you get the sweater with it) is less than $30, which, considering the general price of online cosplay, is a great steal. The shipping, even non-express, will cost you a little bit though. 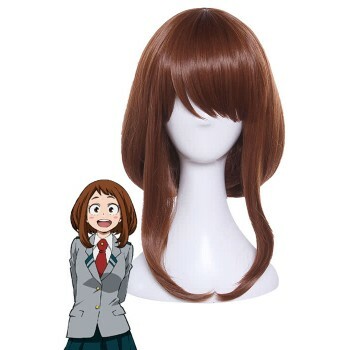 Overall, wig included, my order was still under $60, which is great for both a cosplay and wig, considering some wigs alone can be $30 without shipping. The shirt is made of a stretchy material. It was a little bit small for my taste - though this could easily be solved by ordering a size up. If you want to buy clothes online, always remember to use your measurements, not your normal clothes size - I’m kind of a small American, but I’m not exactly small in Asian sizes. The stripes on the seifuku are done with ribbon. That may sound a bit sketch, but I promise that the collar is nice and good-looking. The skirt is short. This is character-accurate, so I don’t mind. However, you shouldn’t wear this in public without shorts underneath for fear of exposure. The skirt has a few inches of elastic on the side for a better fit, which was much appreciated. My only complaint was that the pleats aren’t exactly perfect all the way around. However, you can rotate the skirt to capture what looks best in photos, so this isn’t a big deal. The sweater is great, and a steal for only $10. Very accurate. The color is spot on. I wish it had pockets, but at the end of the day it’s not a big deal. The photo in the listing may look weird (it did to me) but it looks fine in real life. The bow is probably the most disappointing part. It’s very shiny and not very natural looking. If you know how to sew, I would reccommend making the bow yourself to avoid that shiny look. But if you’re okay with that, go on ahead. The shipping was excellent. Since the costume was from overseas, I was worried I wouldn’t get it in time for Halloween, but it came much earlier than expected. Nothing was wrong with it upon arrival. Customer service was fast. They called me “dear” in the email. Made me feel nice on the inside. One final note - socks aren’t included. You’ll have to buy them yourself. I bought mind at Target for cheap. 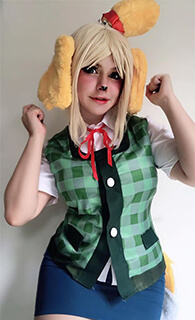 Thank you very much Rolecosplay for this listing. It has it’s drawbacks, but it’s a great starter costume. If you’re on the fence about quality, I assure you you’ll be pleased. Don’t forget to measure yourself. Happy cosplaying! Very good quality, fit perfectly (though the skirt is on the short side) the cosplay itself is super comfy and easy to move in. 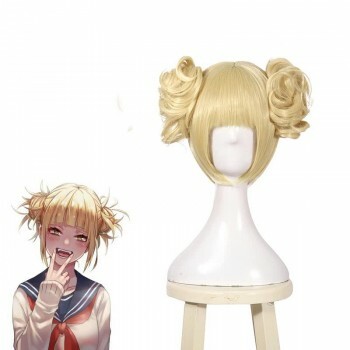 If you wanna cosplay Toga I definitely recommend this one, its super accurate and really nice. Product is okay, good material, good stiching. 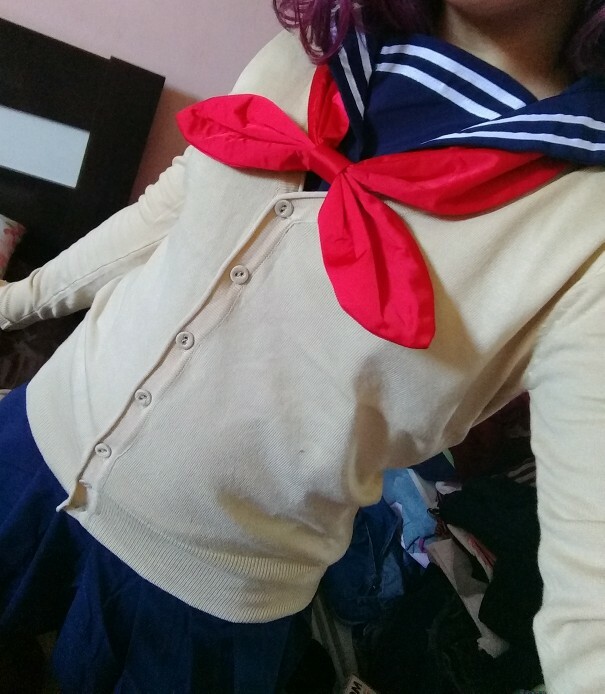 Lots of loose threads on the bow tie I had to trim, the cardigan that came with the costume is okay for it.. but it doesn't fit oversized like Himiko Toga's does. I wore a cardigan I picked up from a thrift instead. Though, the color, stiching of the cardigan is great! It's a good choice if you're not too worried about an accurate fit. I got mine a few days ago and was instantly blown away at it! It's quality and look is amazing! 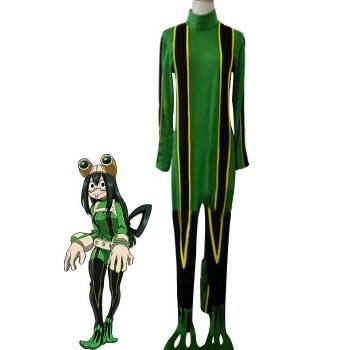 Costume is good quality, nice price, and was shipped as promised. The skirt is a little short for my body so attention at size, but all of costume is really fantastic! The costume is pretty good quality and super comfortable. Doesn’t feel cheap at all for the price it is! Will definitely keep buying from here! They even gave me a discount on my next purchase just for buying! Will buy from them next Halloween as well ??? ?